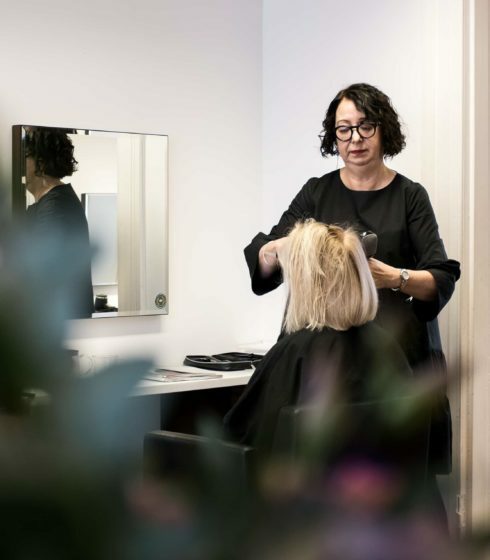 Sally has been a hairdressing for over 35 years, starting Wales and then moving to Hong Kong where she spent 7 years working for one of the top salons there, serving mainly the expat community from all over the world. She then returned to the UK and worked in London Kensington for 2 years as a manager as well as a Style Director. Sally relocated with the company to Cardiff, managing 2 salons and overseeing a salon in Bath.Finally, in 1998 she took the plunge and opened her own salon with a partner in Sands Hairdressing in Penylan, Cardiff. Knowing of and following the founder of AVEDA, Horst Rechelbacher and feeling strongly about the ethos decided to become an exclusive AVEDA salon. After 14 years the decision was made to go it alone and opened SOHO “Sally On Her Own” in Penarth.